Alicia Bowens, Known as a “corpora-preneur,” Millionaire M.O.M. Alicia Bowens is a woman of many talents. 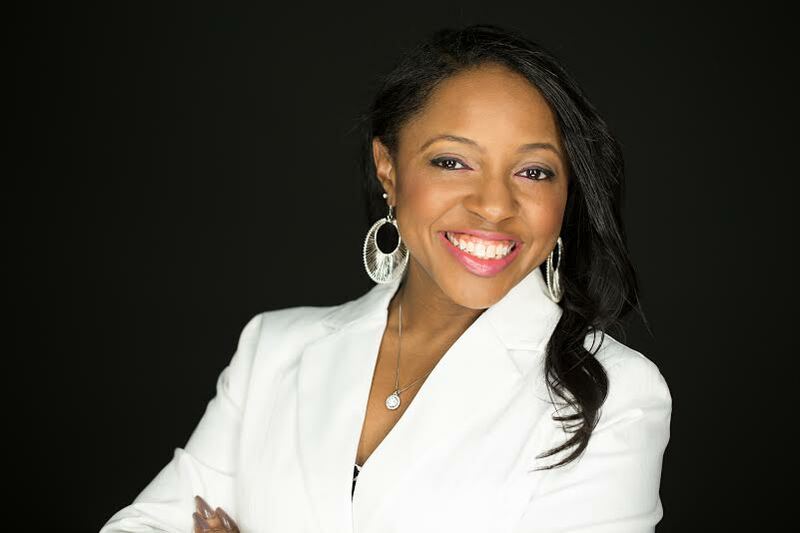 She is an IT professional by day, and a sought after speaker, author, coach, and radio host outside of her 9-to-5. The certified life coach is the founder of two businesses — BE IT LLC, an IT staffing and consulting company, and BE L.O.V.E. LLC , a company whose mission is to connect teen and single moms to resources, education and information through books, coaching and workshops. A 2015 Crown Jewel Award recipient and 2016 BOSS Influencer, Alicia has been a frequent guess on the number of shows and programs as well as events where she speaks about career planning, entrepreneurship, vision boards, relationships, and her experiences of being a teenage mother. Alicia Bowens: Having been a teen mom brought about a myriad of obstacles, most of them being mental. Outside of making sure my son was cared for and attended to while starting my journey, there were many mental hurdles I had to overcome - losing my poverty mindset, forgiving myself for my past actions, and believing once again that not only was I capable of achieving success, but that I also deserved. AB: What inspired into my entrepreneurial journey was my desire to not only be an example of success for other mothers, but to also help to show them how they could be a success. My desire is to share everything that I have learned and continue to learn along my journey so that I can equip and empower others to walk in their purpose. AB:I think that the term "balance" is relative to each individual, based on what works for them at that moment. My fellow bosslady Tiffany Fulcher said it best: "You have to know what you need to be in that moment and be okay with it." Often, as mothers, wives, etc., we tend to want to wear all of the "hats" at once because we feel that if we don't we feel that we are neglecting the hat we decide to take off at the moment. Having balance is being able wear the one hat that is calling us at the moment and being okay with putting the other hats down. I think I've gotten more comfortable with balancing my priorities, however, I believe that it will be an ever-evolving process based on the growth that will occur in both my professional and personal lives. AB: An inspirational quote that I live by is "Our Deepest Fear" by Marianne Williamson. It's too long to put here, but to summarize it, basically it speaks of how we don't allow our lights to shine because of our fears and insecurities or the fears and insecurities of others. However, by doing so, we are doing the world and those we are called to a disservice.One of my coaches, Lynn Richardson, always asks, "Who's name is on your back?" If you choose not to let your light shine, then the people you are called to cannot get in their position to shine their lights for whoever is called to them. AB: Outside of my family, who were my biggest support system as a teen mom, there were quite a few coaches that I've worked with and stayed connected to who helped me to step outside of my comfort zone. Those people were Lynn Richardson, Da-Nay Macklin,Monique Caradine, Bosslady Cameka Smith, and most recently Zenovia Andrews. I believe it is critical to invest in yourself and keep yourself surrounded by people who are walking in their success, doing it scared, keeping God first, and sharing their knowledge and skills with others. Lastly, all of my mastermind sisters who are doing it scared with me are priceless! AB: My must-haves are God, who keeps me connected to my "why," an ever-evolving vision, my coaches, my mastermind sisters, help, a laptop, calendar, and a notebook. AB: My definition of a BOSS is someone who not only leads, but serves. A true BOSS sees the big picture and understands that their success is not about them; it's about the people who will be positively impacted, encouraged, and educated from their success. A true BOSS leads the way, and paves the way for others to follow.